NEW YORK—Offering new insights into what life may have been like for people who left their folkways and cultures behind to begin a new life, a group of American historians unearthed documentation that thousands of immigrants were forced to change their hairstyles upon entering the United States at Ellis Island. 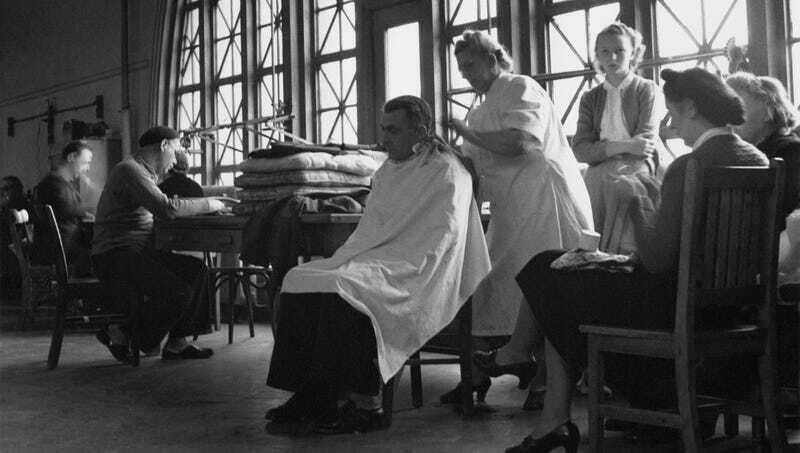 “Upon discovering detailed records of all those who immigrated through the Ellis Island facility from 1892 to 1954, we can confirm that almost a million of those who sought their fortune in our country began their journey with a government-mandated hairstyle purported to present a more American look,” said historian Elizabeth Stern, noting that it wasn’t uncommon for government officials to choose a prospective citizen’s new look for them from a book of photos featuring roughly 50 approved hairdos. “Most immigrants arrived with traditional ethnic hairstyles, which were difficult for American barbers and hairstylists to work with and marked them as outsiders to potential employers. Going, say, with a dramatically shorter length, was a struggle for many whose hairstyles had been in their family for countless years. Many felt as though they were trimming a part of themselves, but officials felt it was really in their best interest to assimilate with a bob or even a blunt cut. You can see in some of the earlier photos that the younger children in particular often wept as they were subjected to harsh bowl cuts––they really sacrificed so much hair to come here. It’s sad, but millions of people today wouldn’t even recognize their original family hairstyle.” Stern added that the records indicate thousands of immigrants from Slovakia, Austria-Hungary, and Poland were turned away after refusing to get choppy layers.